Friday 7 am - 5 pm. The Athletico Urbandale location is an outpatient orthopedic Physical and Occupational Therapy setting. We have three full time Physical Therapists, one Physical Therapist Assistant, and one Occupational Therapist, each of whom works directly with the patients one to one. We specialize in orthopedic injuries, but also do sports medicine/rehabilitation, some vestibular rehabilitation, treatment for TMJ, some neurological diagnoses, have a women's health specialty program, and work with pediatric patients with torticollis. We see a wide variety of diagnoses, and our patients range in age from the pediatric client to the geriatric population. We work on restoring strength, balance, mobility, and improving function of each patient. We also have clinicians certified to perform the ASTYM treatment for our patients. 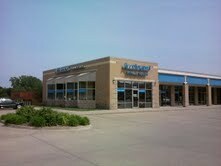 We have been a part of the Urbandale community since January of 2007 and participate in the Urbandale chamber. We love the uniqueness of the Urbandale community and consider our patients to be part of our therapy family. We are located on the southside of Douglas Ave. between 83rd and 75th (the two stop lights) at the bottom of the hill next to Auto Zone and in the Colby Woods Center. Near Fitness 24 and Pizza Hut.